- EUR 627 million EPC Contract, to carry out the civil works and the electromechanical systems of the Kirazli-Halkalı section of the Istanbul Underground. The project calls for building 10 kilometres of double-tube tunnel, 7 kilometres of which dug using TBM (Tunnel Boring Machine), as well as 9 stations with annexed car parks and a depot area. The works are slated to begin in coming days, and are scheduled to take about two and a half years. The works will be performed by the Astaldi Group (15% stake), in a joint venture with the Turkish companies Makyol (29%), Ictas (28%), and Kalyon (28%). The Customer is the Municipality of Istanbul. - BOT Contract for EUR 392 million in total investment, EUR 333 million of which for construction activities, for approximately 80 kilometres of the Menemen-Aliağa-Çandarlı Motorway in the province of İzmir. The construction activities will be performed by Astaldi (33% stake), with the Turkish companies IC Içtaş (34%) and Kaylon (33%). 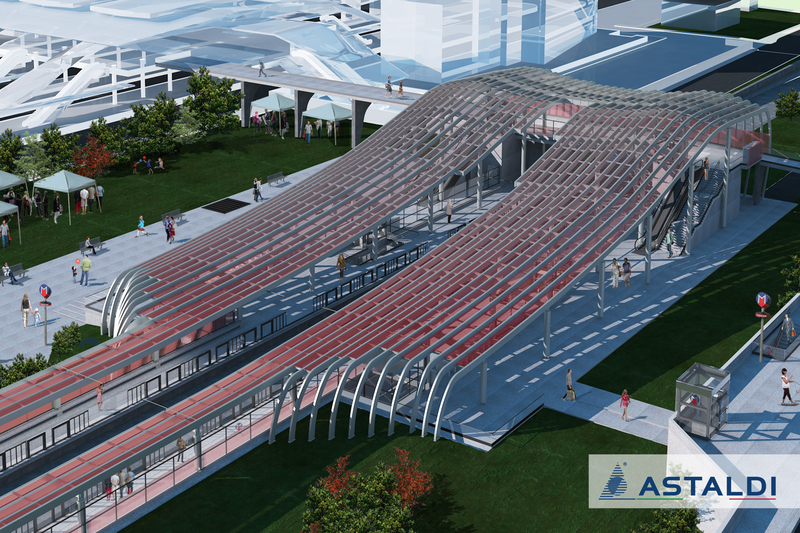 The transaction’s financial structure calls for the contribution of private capital for an amount equal to 20% of the total investment, which for Astaldi translates to approximately EUR 26 million to contribute by the end of the construction period. Operation activities call for a minimum guaranteed revenue guaranteed by the grantor, totalling EUR 45 million/year. Fourteen junctions, 3 service areas, 7 motorway toll booths, 10 viaducts, and 11 bridges are planned, in addition to the performance of all O&M (Operation and Maintenance) activities. The duration of the concession is equal to approximately 10 years, with 36 months for the construction phase and the remaining period for operation. The project’s customer is KGM, the General Directorate of Motorways of Turkey’s Ministry of Transport, which operates as Grantor. The ASTALDI GROUP has been operating for more than 30 years in Turkey, where it is currently engaged in completing the projects under concession for the construction and subsequent operation of Phase 2 of the Gebze-Orhangazi-Izmir Motorway (already completed for Phase 1 including the Bridge over Izmit Bay, currently under operation), as well as of the Etlik Integrated Health Campus in Ankara (one of Europe’s largest healthcare facilities). It also holds the multi-year concession for the construction and operation of the Third Bosphorus Bridge (the world’s longest and widest hybrid bridge, with towers soaring higher than the Eiffel Tower, in operation since September 2016).